When one first sees the piazza of the Duomo of Florence it is too immense and textured to take in. Many tourists experience the city just this way, as a blur of color and moving masses of people. With our knowledgeable guide and teacher, Jeffrey Carson, we strive to go beyond the superficial and delve into the individual elements that make up this wondrous architectural monument. 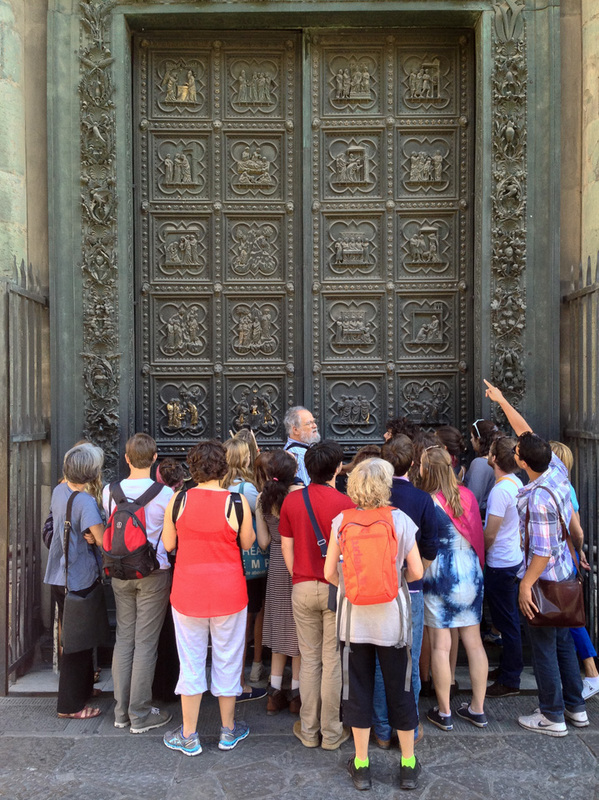 Students are invited to compare the three doors of the Baptistery, understand the Byzantine mosaic interior, feel the historical significance of the dome and understand the origin of the patterning on the exterior surfaces. Lunch at one of the many cafes gives us energy to continue and then sculpture and architecture are once again our concerns. The Aegean Center Fall 2013 Italy Session is just beginning as the summer winds down and the school children ready themselves for another year of study. Twenty four students will arrive in the next few days to join the five faculty in a three week stay in the Villa Rospigliosi in Pistoia, Italy. We are excited to view our favourite art works, to taste the creamy gelato and to wander the medieval streets of places like Siena and Pisa. 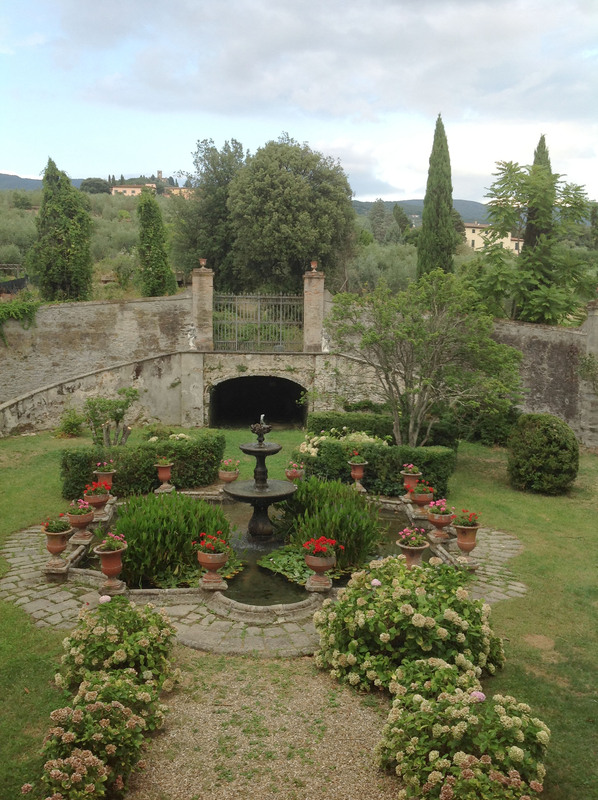 Of course the food at the villa never fails to please us and the garden is enchanted once again as John connects the pump and the stone fountain flows musically into the pond. We have a special treat coming up as the Accademia in Venice is hosting an exhibition of Leonardo drawings. It has been thirty years since some of these drawings have been shown to the public. We look forward to welcoming the new group and having them share the experience. You are currently viewing the archives for September, 2013 at The Chronicle.